A wrap around case packer takes loose product, collates them into the required format then delivers them to the wrapping station where the case is formed around the collation making it a tight pack. This type of wrapping is particularly attractive when packing glass bottles as the tight pack negates the use of dividers resulting in significant cardboard savings. However, should dividers be required they can be fitted. The box flaps are closed automatically and sealed using hotmelt glue which makes for a very strong seal. 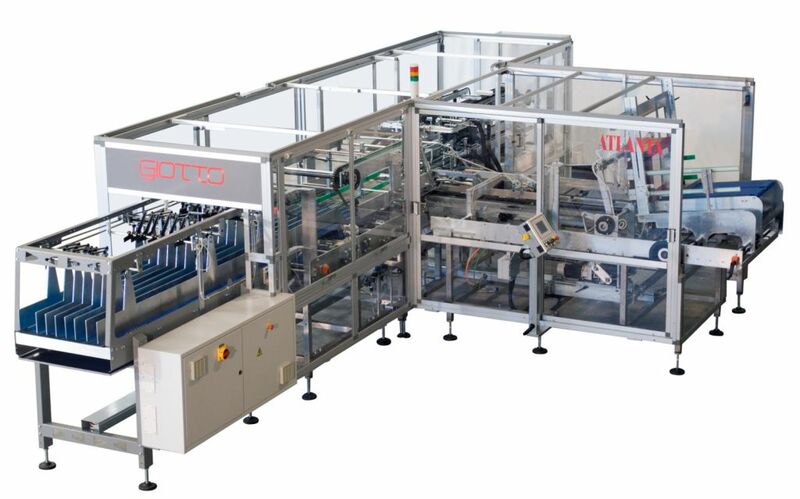 The Atlanta Giotto machines are made from stainless steel as standard making them attractive to the dairy and water industry sectors. 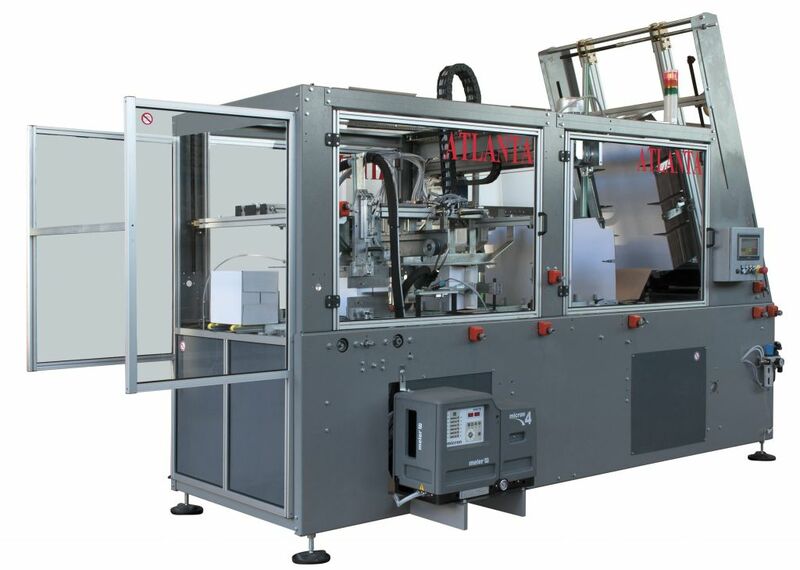 As seen below, the machines can produce fully enclosed case, open top case and deep walled tray formats. Ideal for high duty cycle production as well as large & heavy containers. 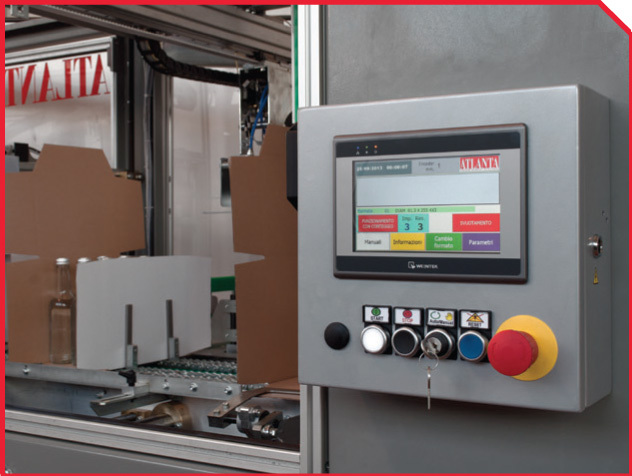 The Raffaello forms the carton around the product, from a flat blank, via automated folding and glueing operations as it passes through the machine. This series is designed for medium/low production and boasts a number of special features. Top quality mechanical design results in high precision and repeatability making it ideal for continuous duty cycle production. Latest PLC and motion control technology for complete control of machine movements. Available with single or multi lane feeding. Suitable for a wide range of product types and containers including PET, metal, glass and multipacks. For more information click the PDF below. Call us now on 0845 865559 or e mail us at sales@atlantapackaging.co.uk for more information and prices.